It's been a while since my last Etsy post. (If you'd like to check out my other Etsy posts here they are: Etsy Irish Fashion Finds and Christmas Gift Ideas from Irish Etsy Crafters and Irish Etsy Home). I love having a browse through all the talent and beautiful creations from Irish Etsy Shops and although summertime might not be the first thing that would spring to mind in our damp climate, I thought I'd do a search for some summer themed items and here are my picks for this year. They're not in any order of preference but pretty things I thought were perfect for sunny days! 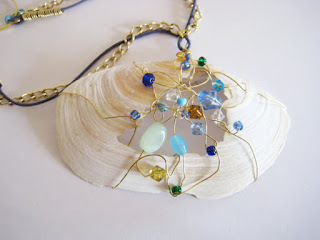 First up is this shell necklace from DejaNuGems, what could be more appropriate for summer? 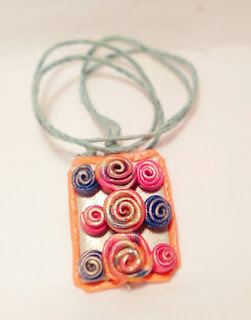 :) Also, it features upcycled beads and has a 'boho' feel so it won me over straight away. What struck me as well was the beautiful use of a broken shell, creating a 'perfect' whole from something 'imperfect. I was searching for bags with a sunshiny feel and thought this watermelon bag from Rachillustrates was so cute, It's organic and eco-friendly. 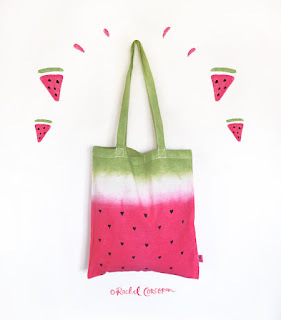 Hand dyed and painted with seed hearts, it's a perfect summer tote, can be folded and popped into a handbag or just used for the beach. You can also find Rachel on Pinterest, Facebook and Instagram. 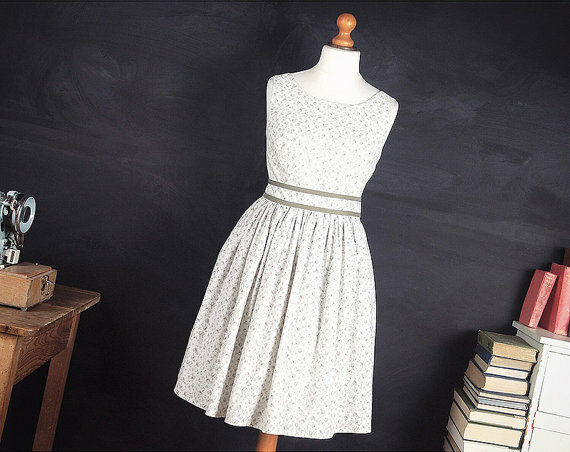 I thought this rockabilly style dress from MolloyCo was adorable, 100% cotton, so ideal for summer, perfect with cute little flat shoes or sandals and handmade so one of a kind! There are similar girlie dresses in Maggie's shop so do check it out. 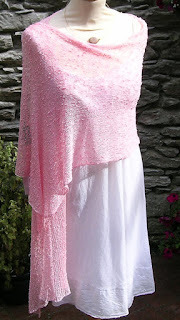 You can also have a look at Maggie's fabrics and gorgeous dresses on Instagram. 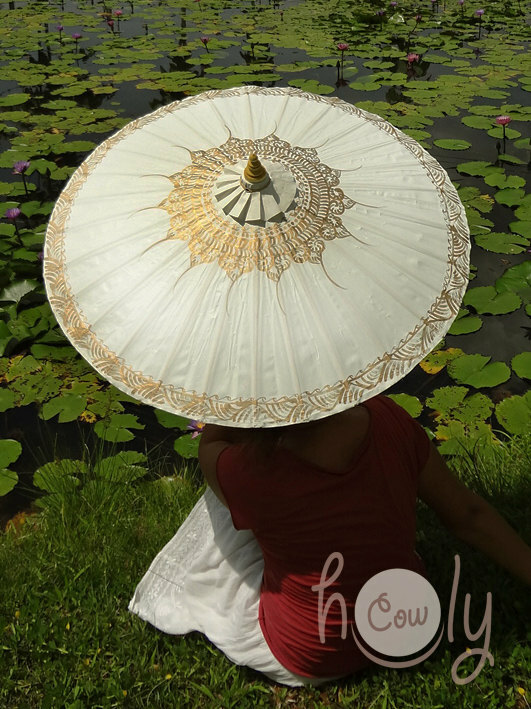 I really fell in love with this beautiful Parasol from HolyCowproducts - it's made from bamboo and delicately handpainted. It's sturdy and waterproof so very practical as well as decorative. Ideal for weddings, garden parties or just as a piece of art in your house. If you'd like to see more of HolyCowproducts, check out their Facebook, Website or Pinterest. I think it was the colours that struck me the most in this vibrant rose pendant from SpoonerismsCrafts. I really liked the touch of gold also and it has a bit of a funky feel, could definitely picture wearing this with floaty summer clothes. You can see Laura's other gorgeous designs in her shop and on her Facebook Page. Next up is an essential summer item, something to cover up when it's a little bit breezy and what could be more perfect than this delicate handcrafted shawl by NatashaWilkieDesign? 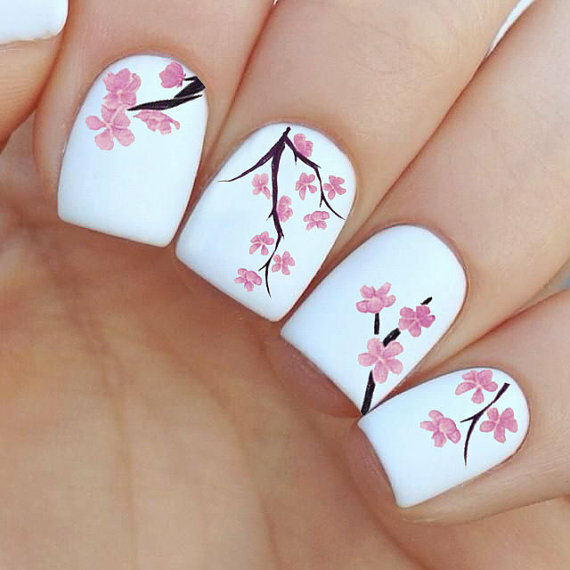 It's so feminine and looks gossamer light and so dainty. A big plus is that it can be handwashed and it's pretty versatile, could be worn to a wedding or formal occasion or anywhere really! I have a total love for this next item, it's just the kind of jewellery I like, chunky silver, beautiful design with an eye for detail, right down to the clasp and featuring my favourite colour of the moment, turquoise. It really is a luxury item to treasure, the quality shines out, even the toggle is hand forged. 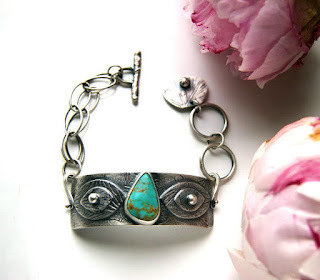 It is a Sterling Silver Bracelet featuring a Kingman Turquoise gemstone and it is from the MercuryOrchid Shop. Lenita also has a Facebook page so do have a look and check out her Shop for many other beautiful works. You can find Milie's Nail Creations on Facebook or Pinterest also. I do hope you have enjoyed my little collection!